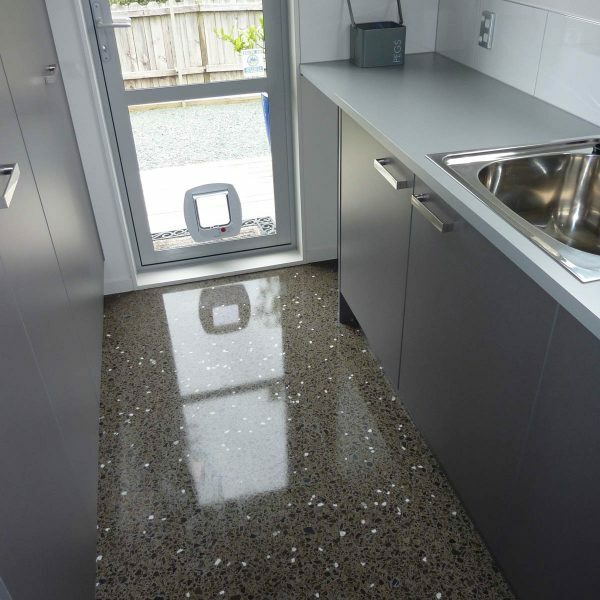 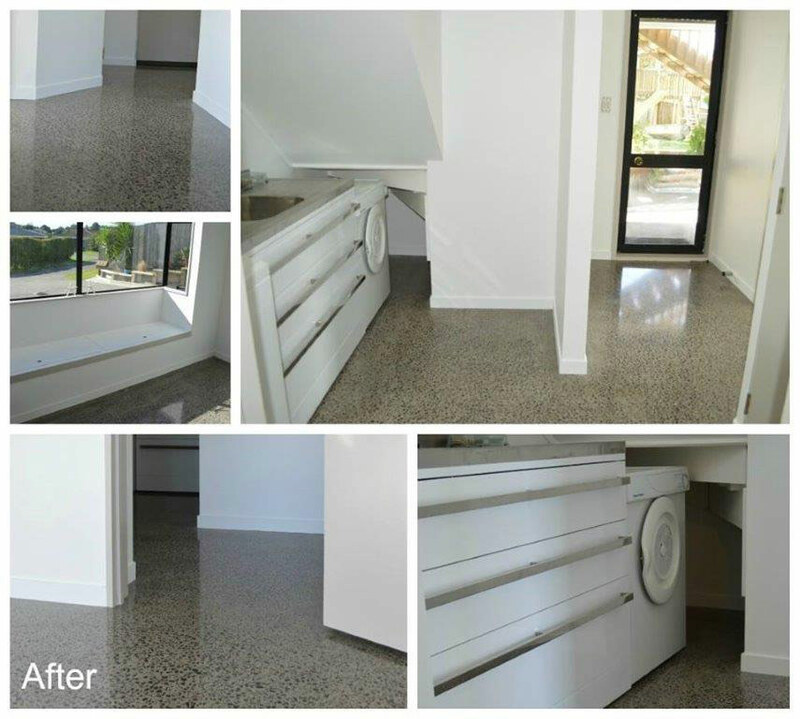 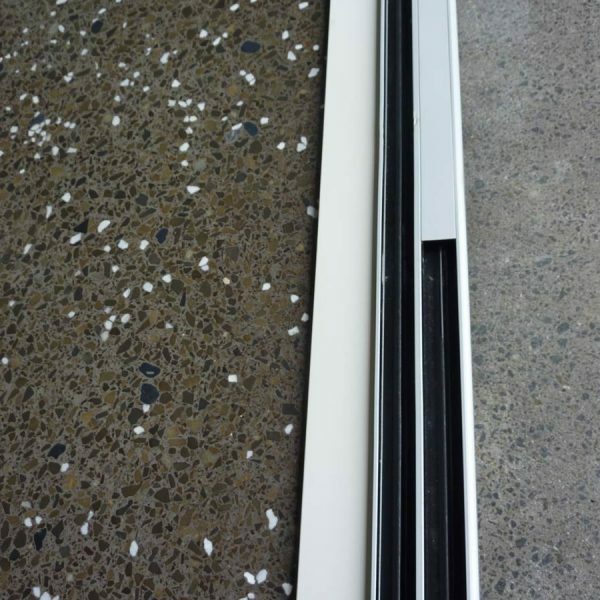 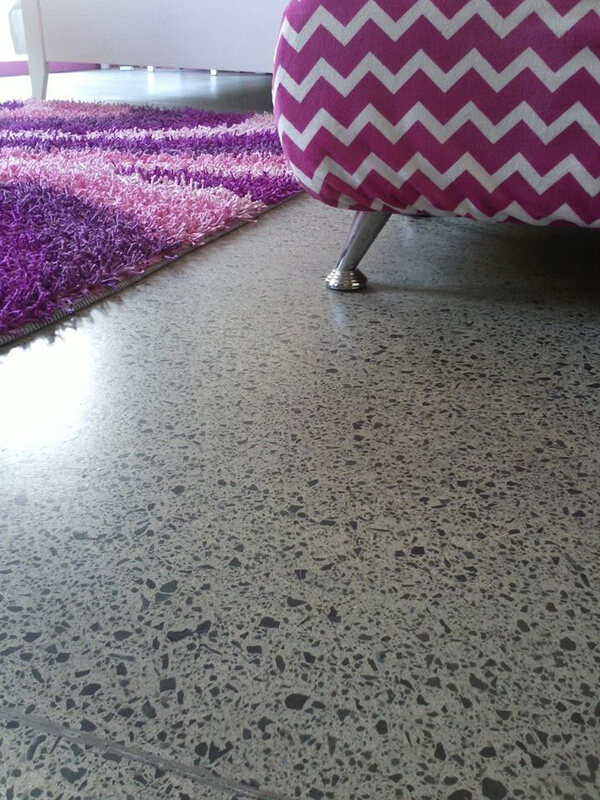 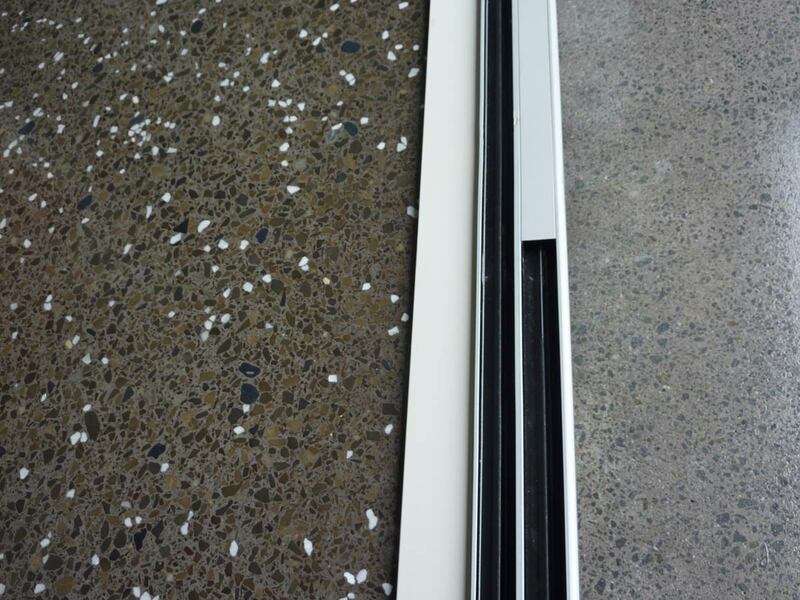 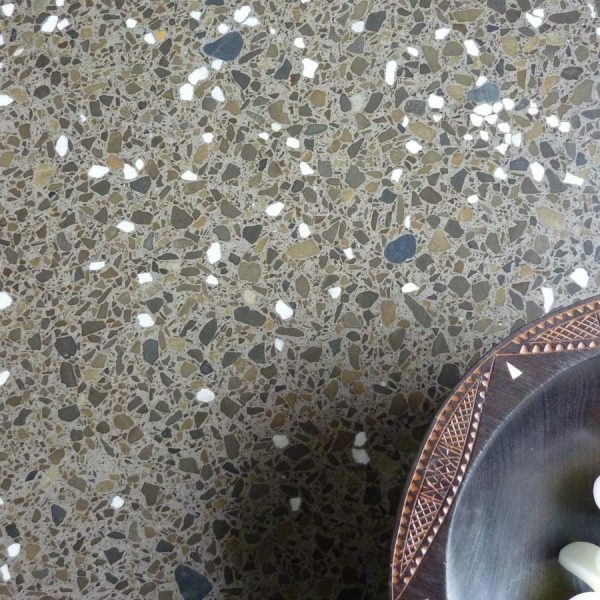 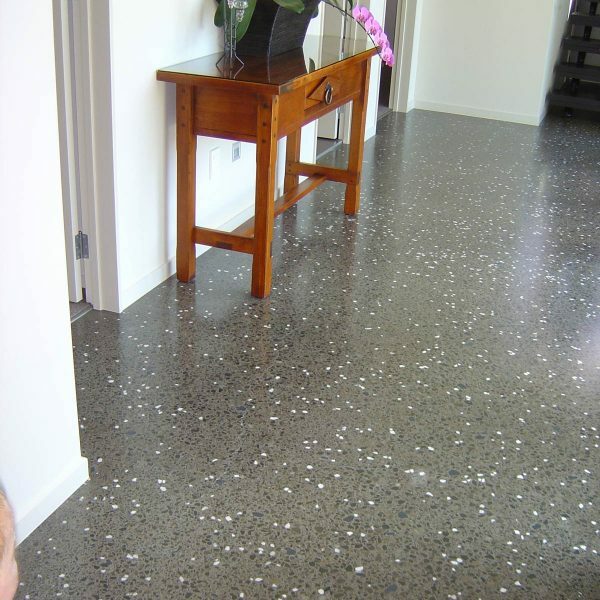 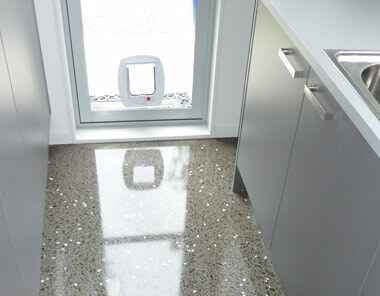 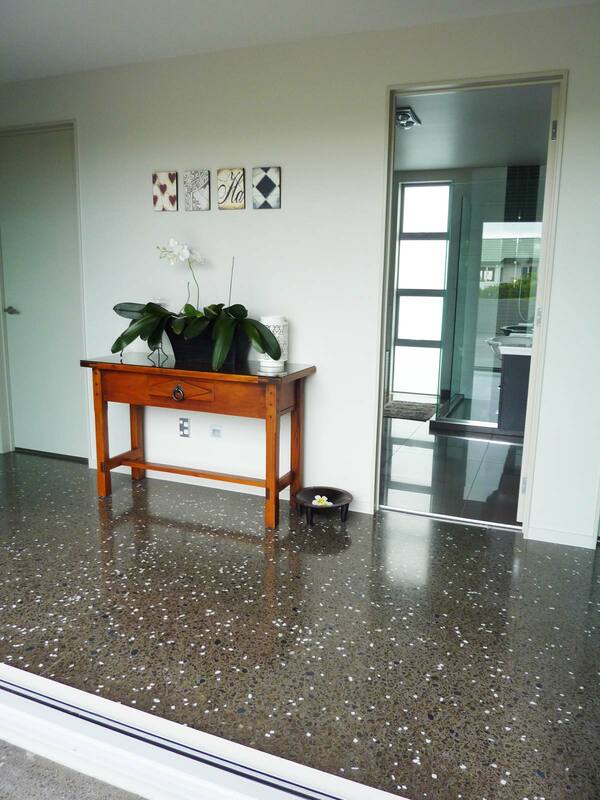 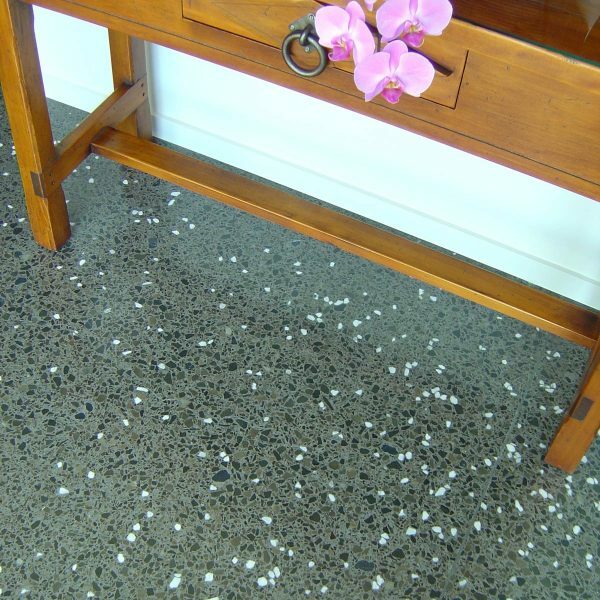 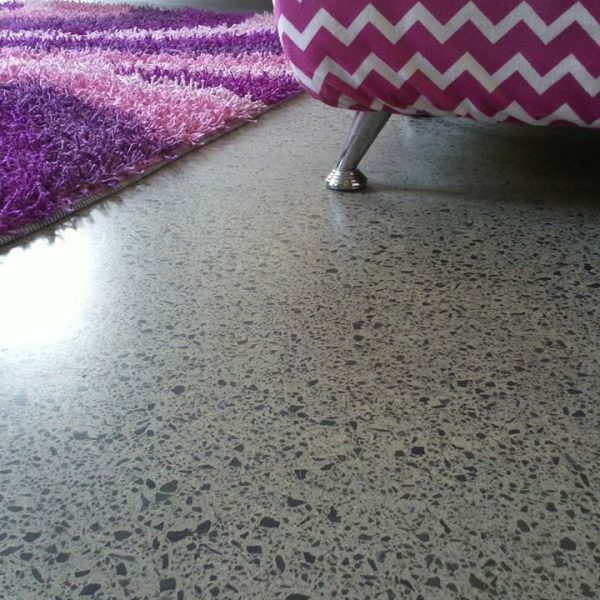 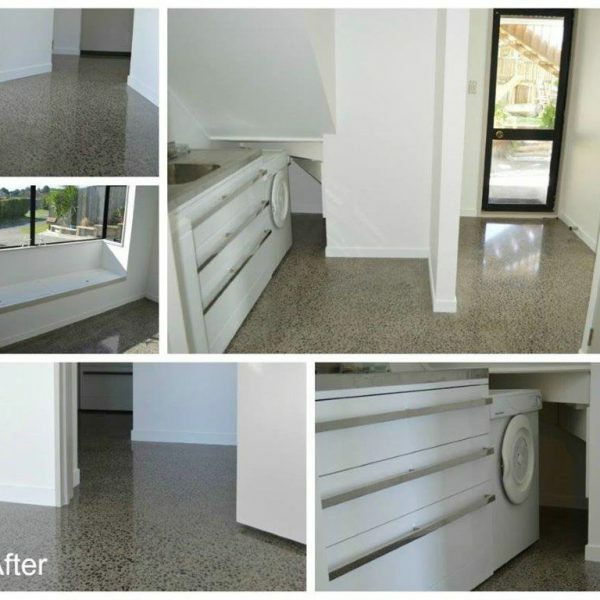 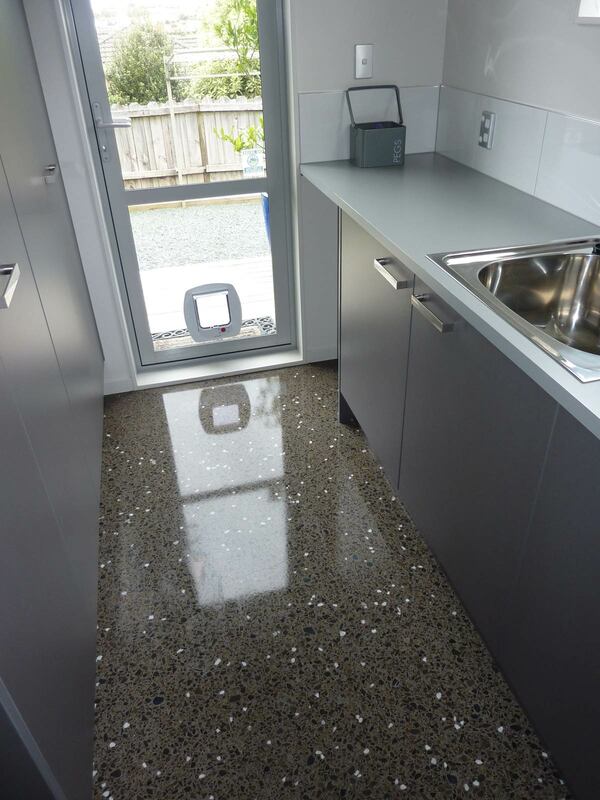 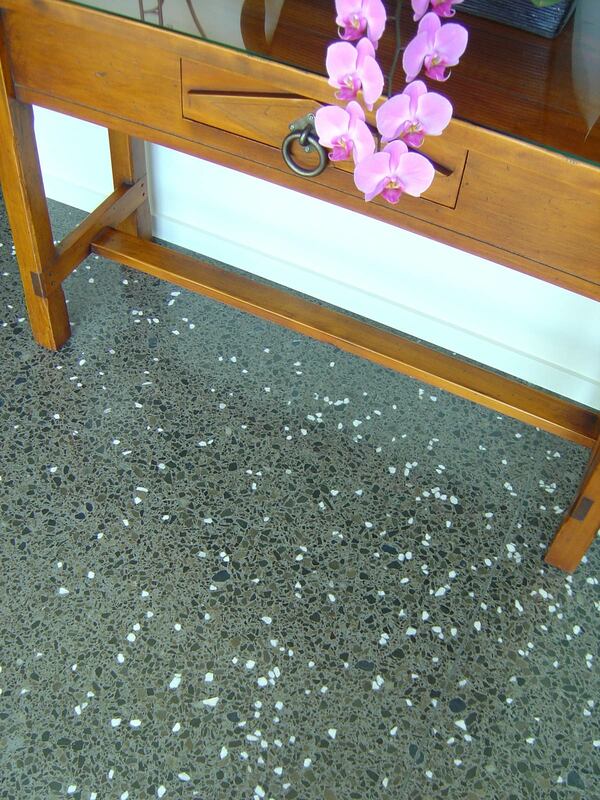 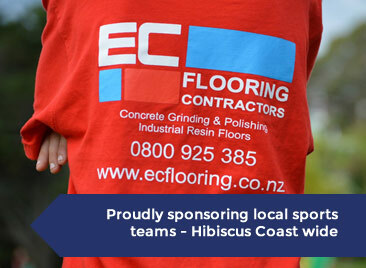 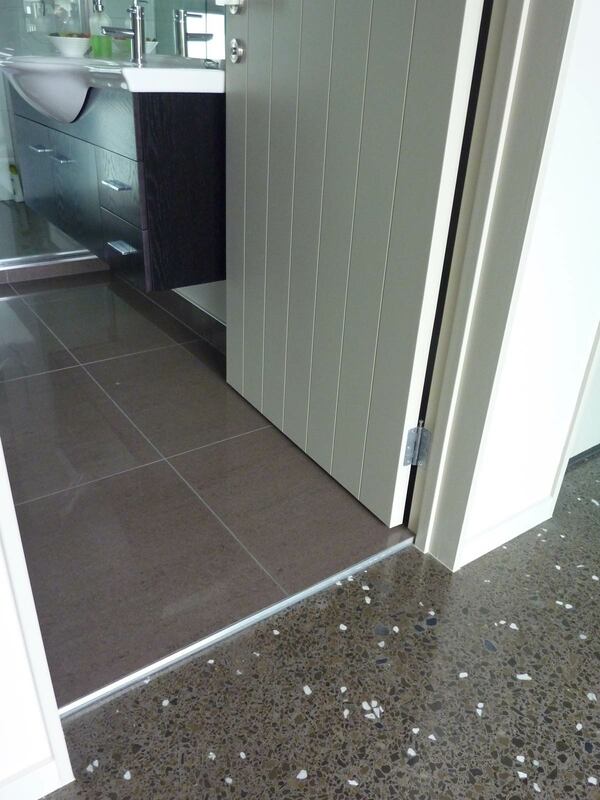 Polished concrete has become a popular flooring choice in both new and older homes; batches; workplaces and showrooms. 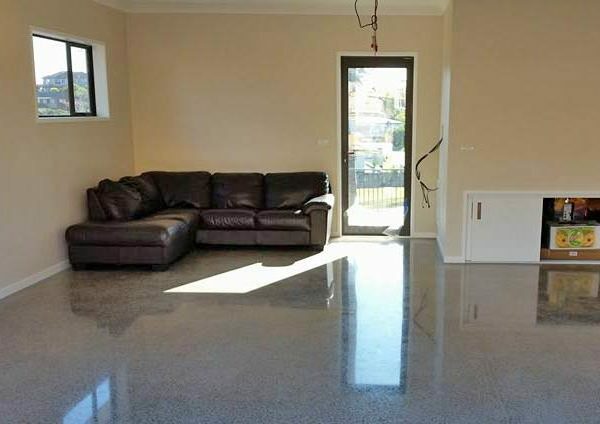 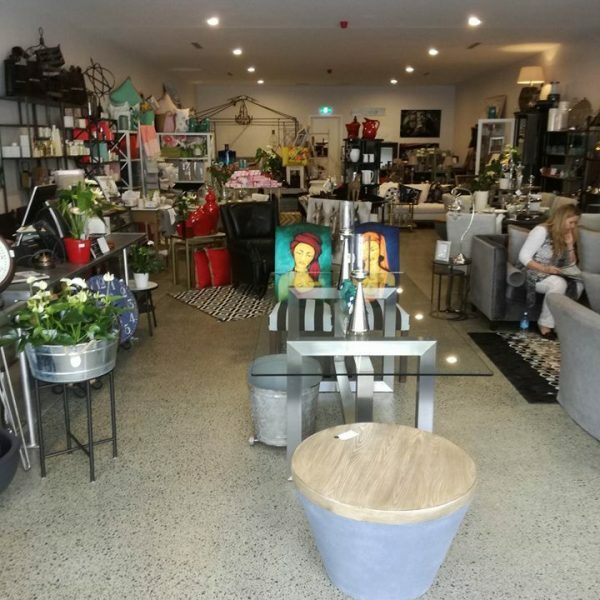 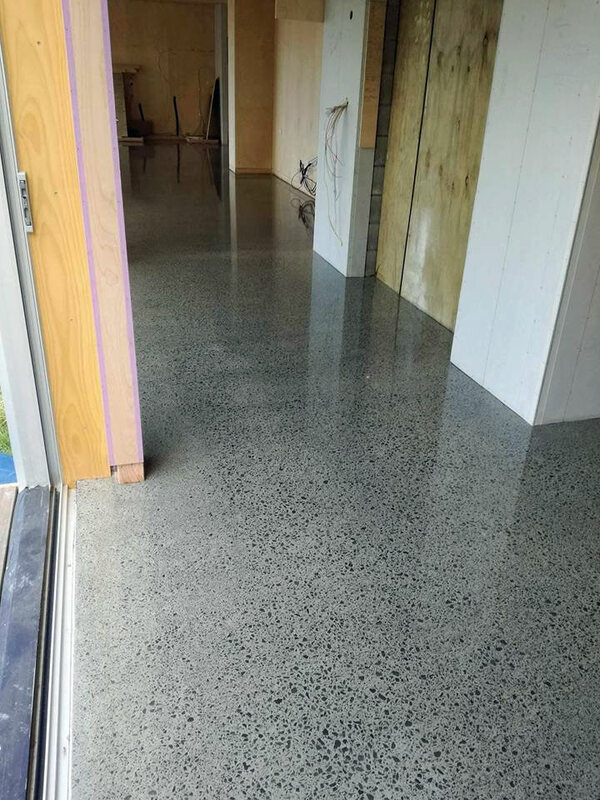 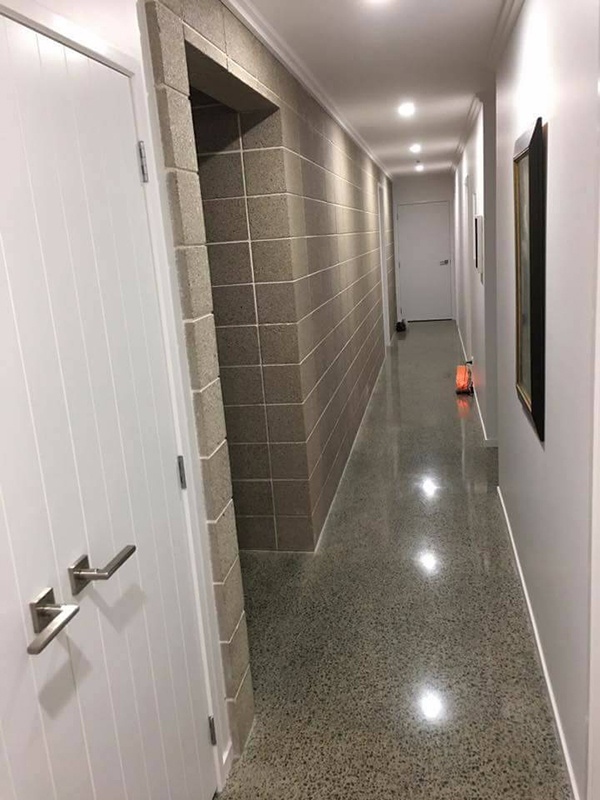 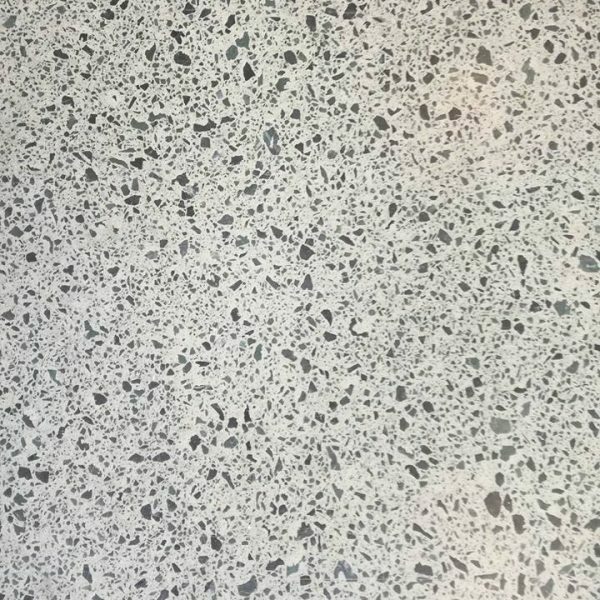 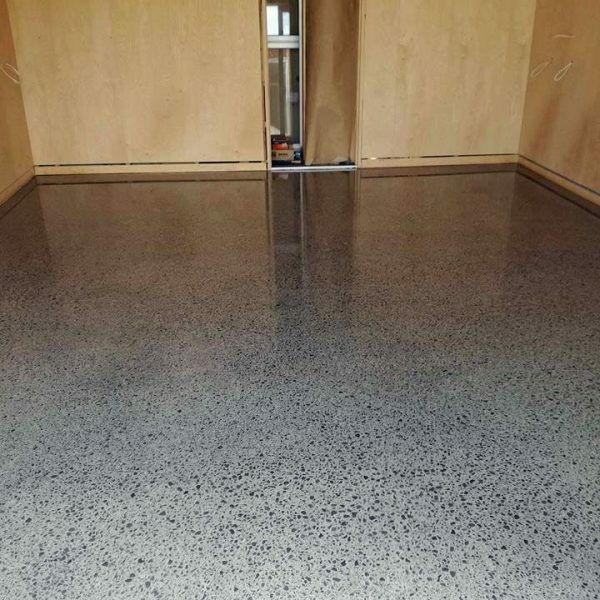 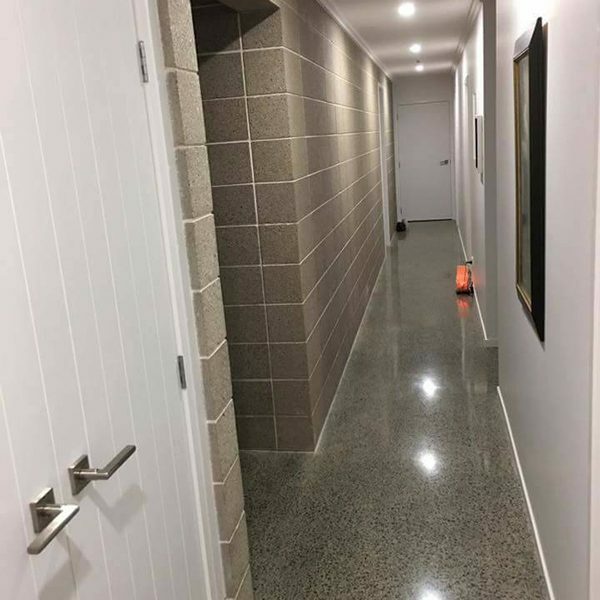 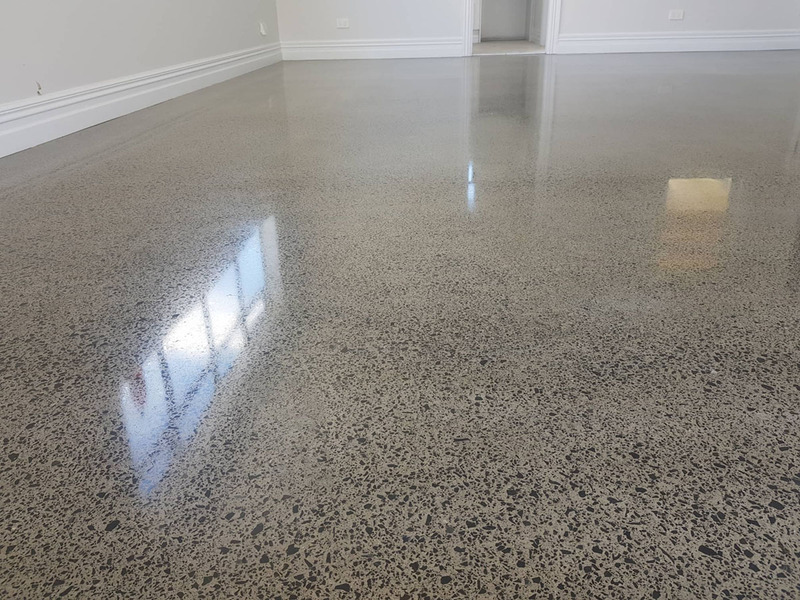 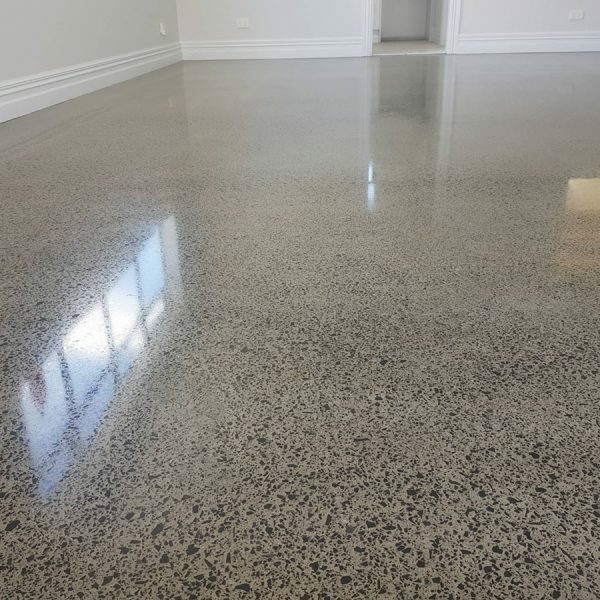 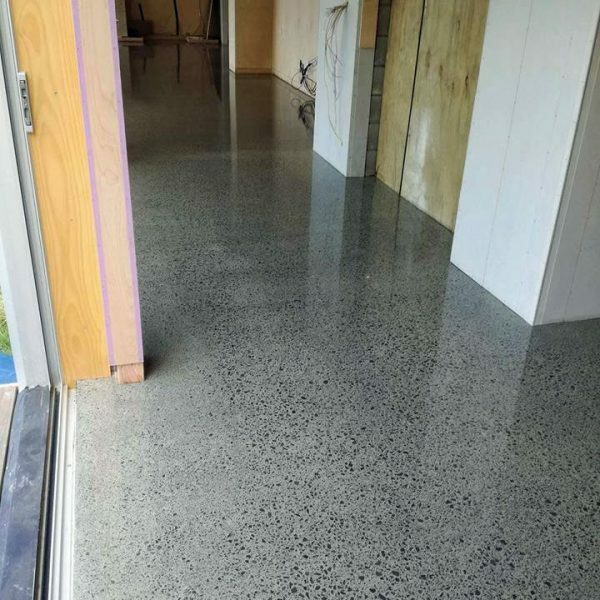 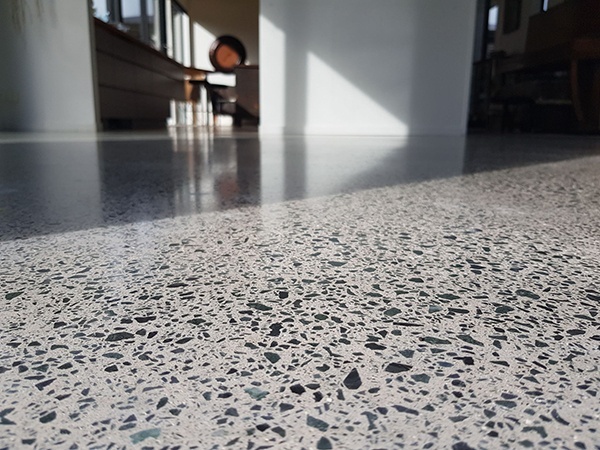 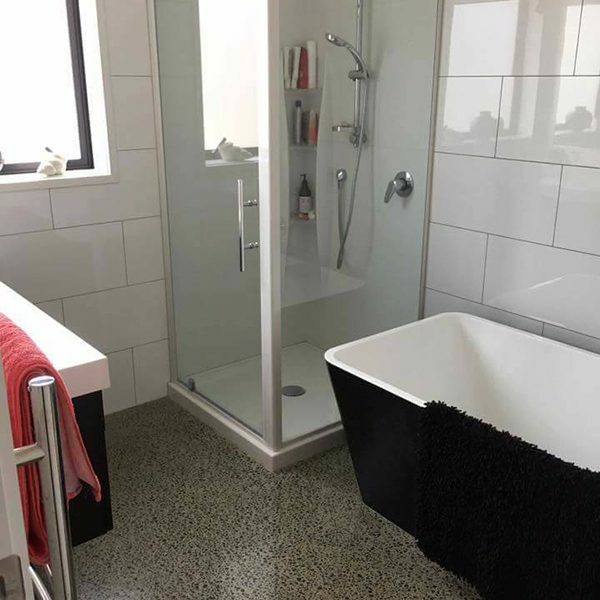 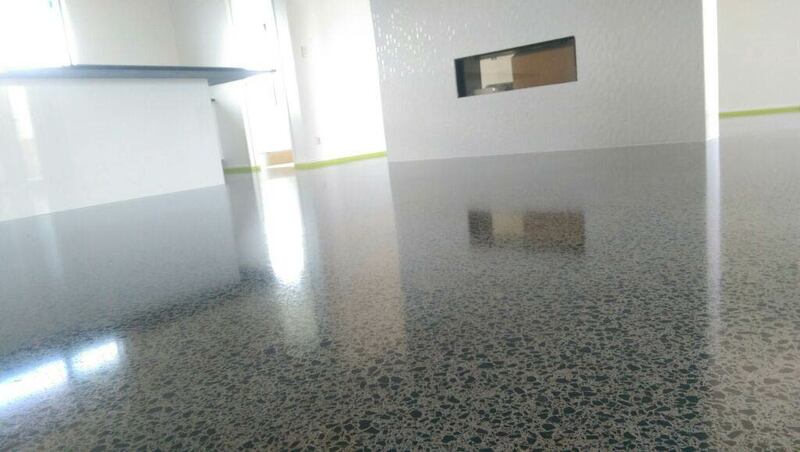 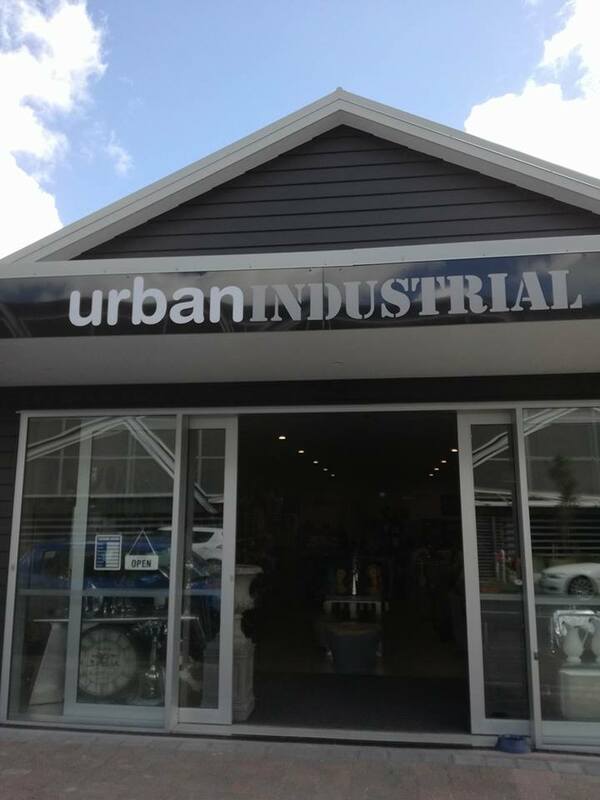 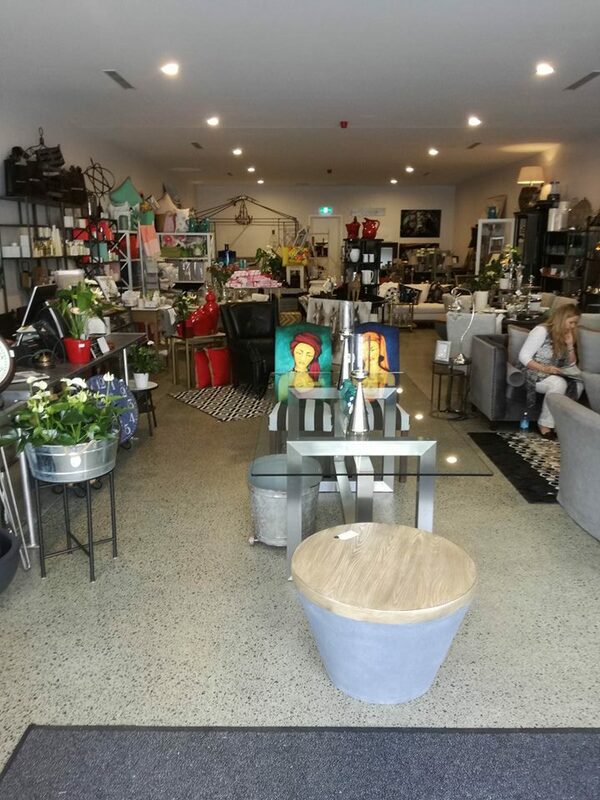 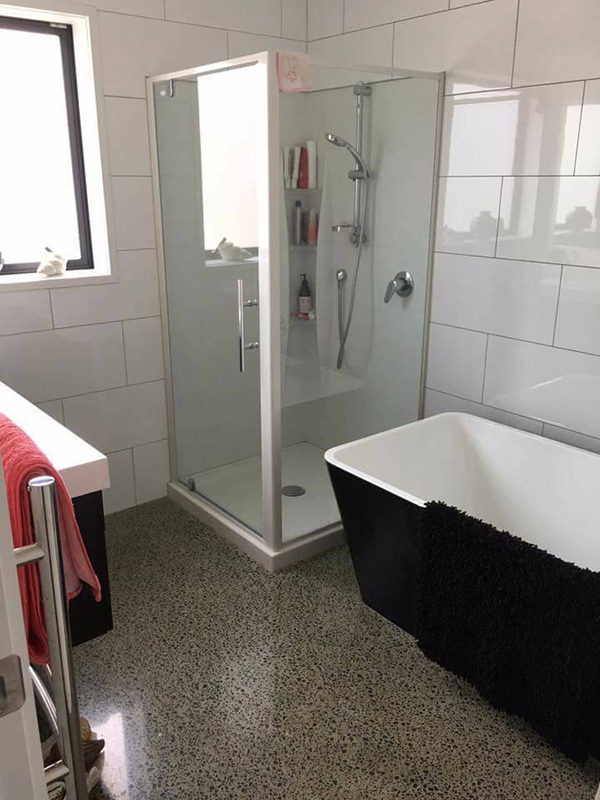 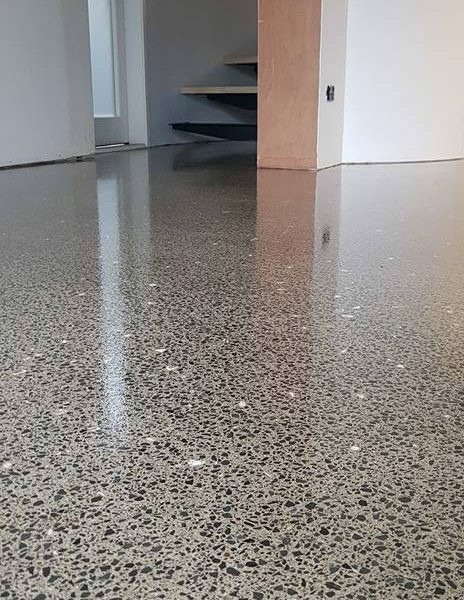 Polished concrete has become a popular flooring choice in both new palatial homes; older homes; batches; workplaces, industry, retail and showrooms as it is practical and versatile flooring solution. 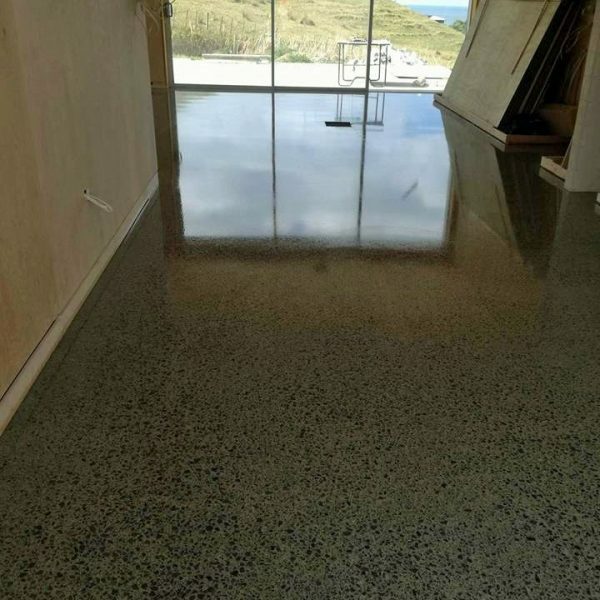 Polished concrete provides a classic look featuring clean lines which is durable and easy to clean. 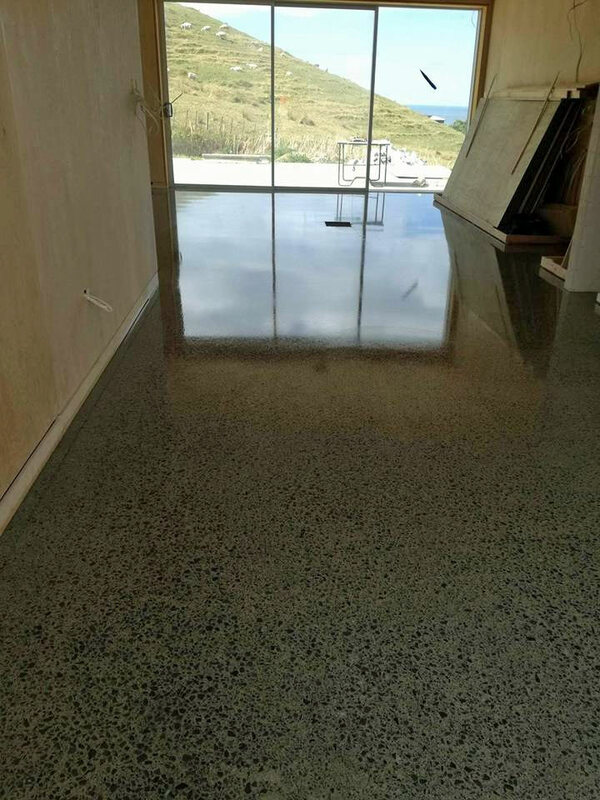 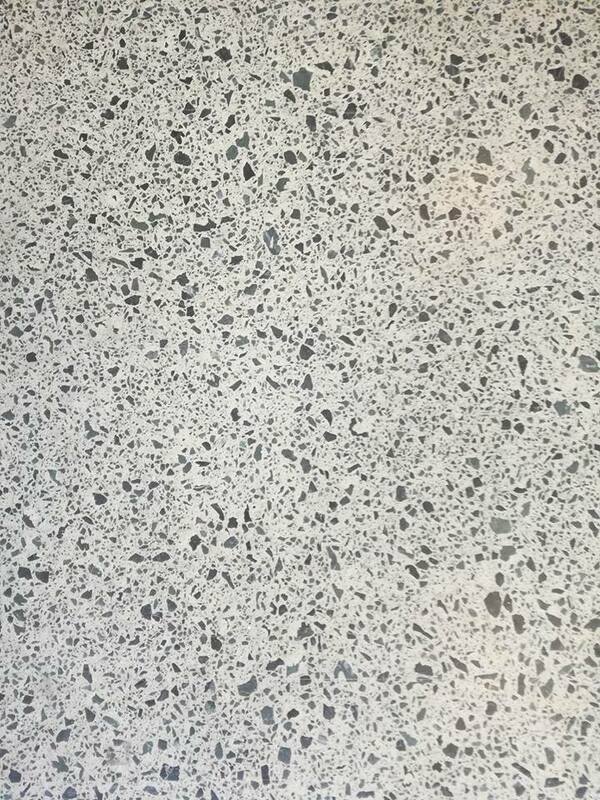 What makes polished concrete so special is that every job retains its own characteristic look with natural settlement and use of stone chip. 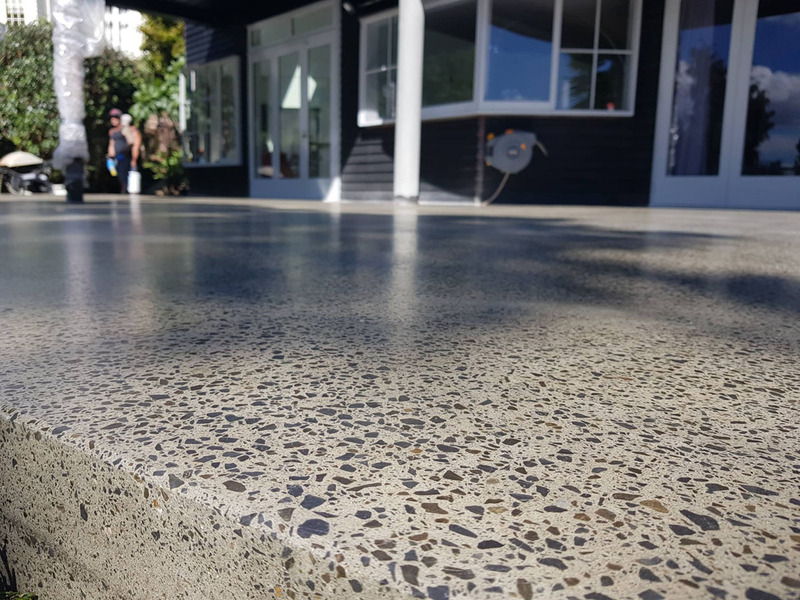 Options are available at concrete laying stage to include coloured stone and other aggregates to create an artistic design all of your own. 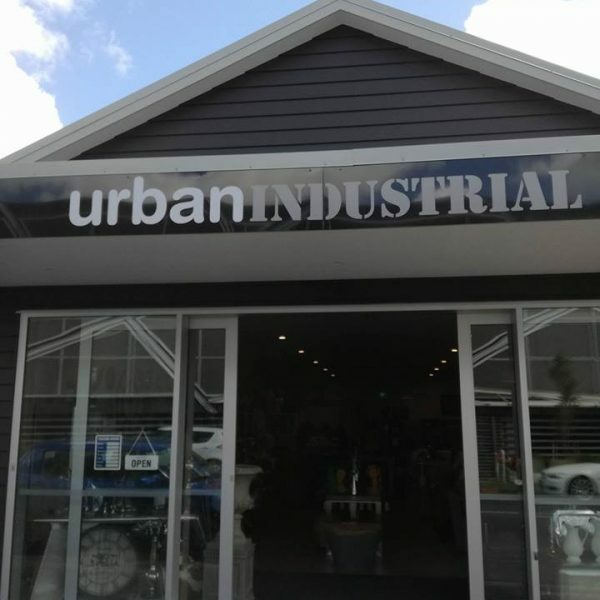 Aesthetically pleasing, popular and on trend. 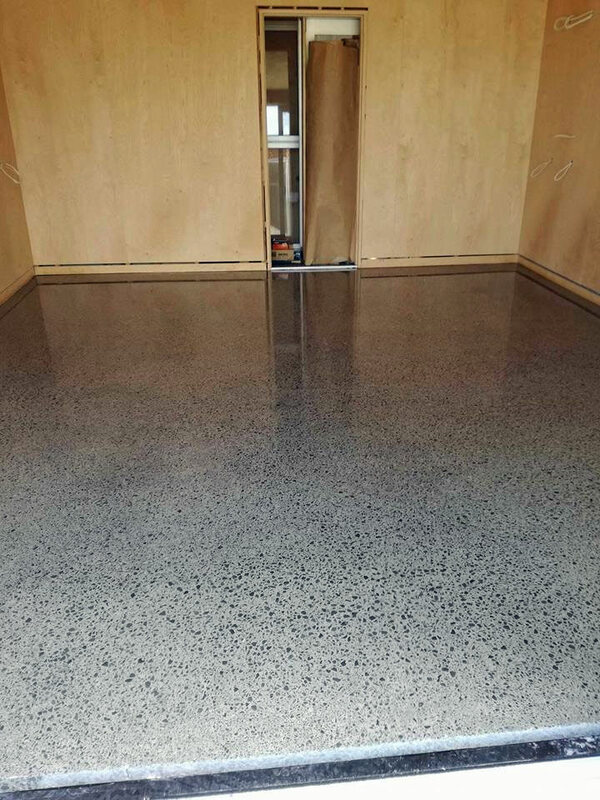 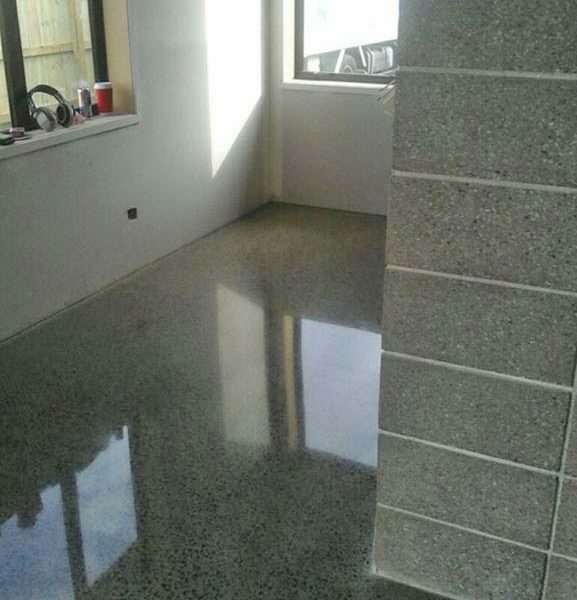 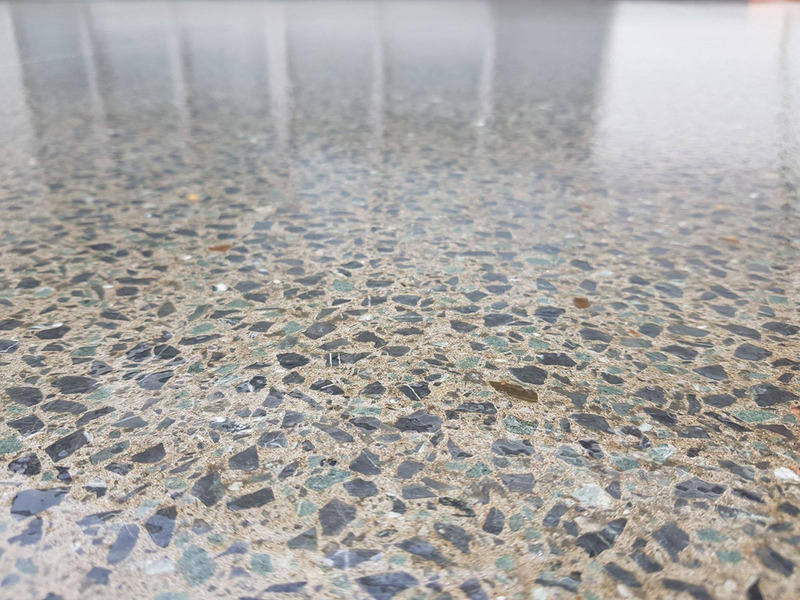 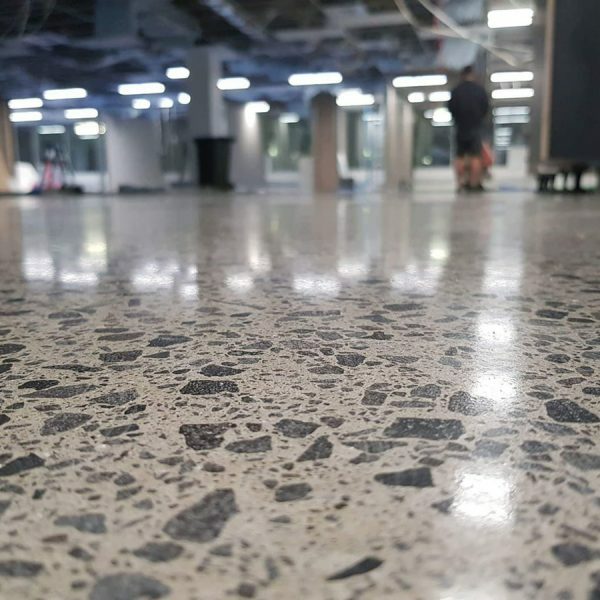 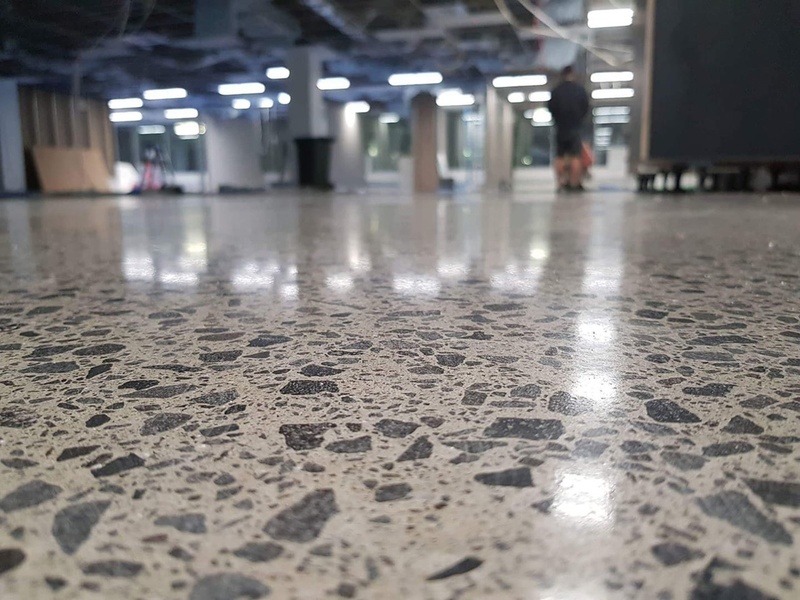 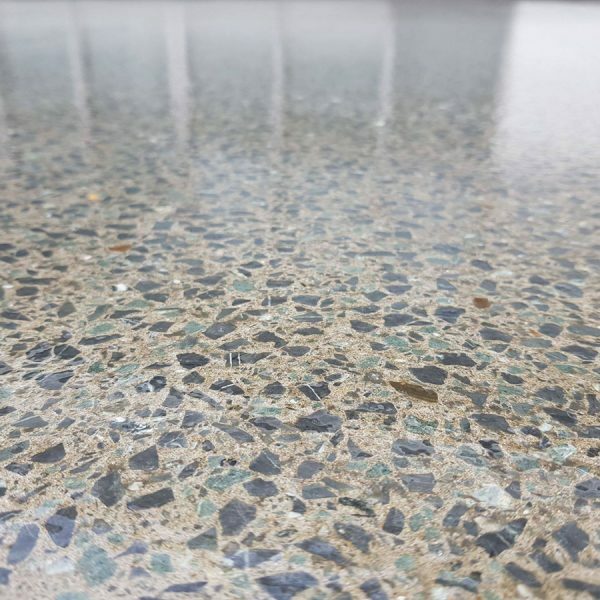 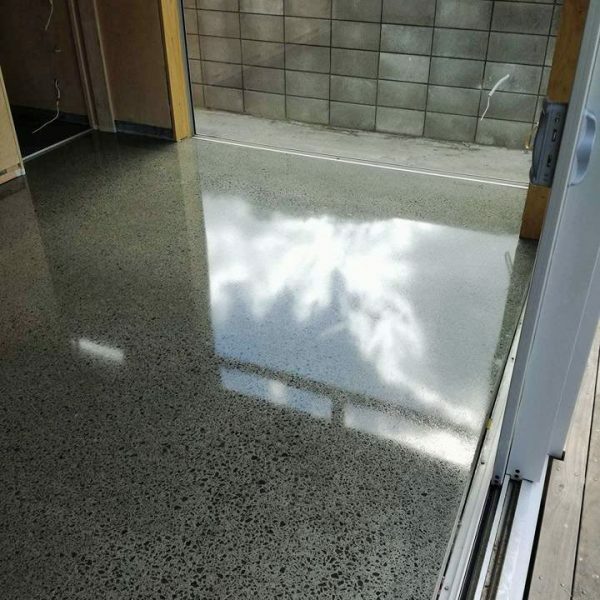 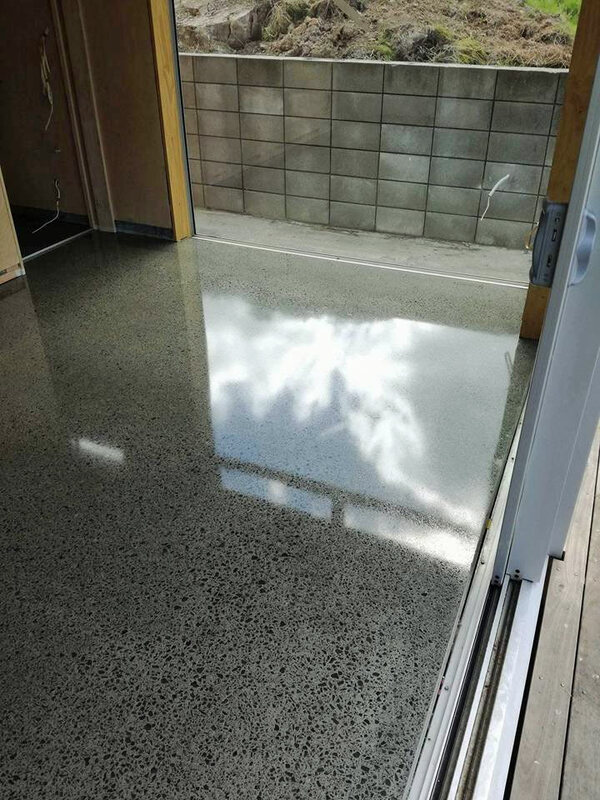 Another distinguishing feature of polished concrete is the smooth finish that we take pride in attaining to further enhance and unlock your concretes full potential. 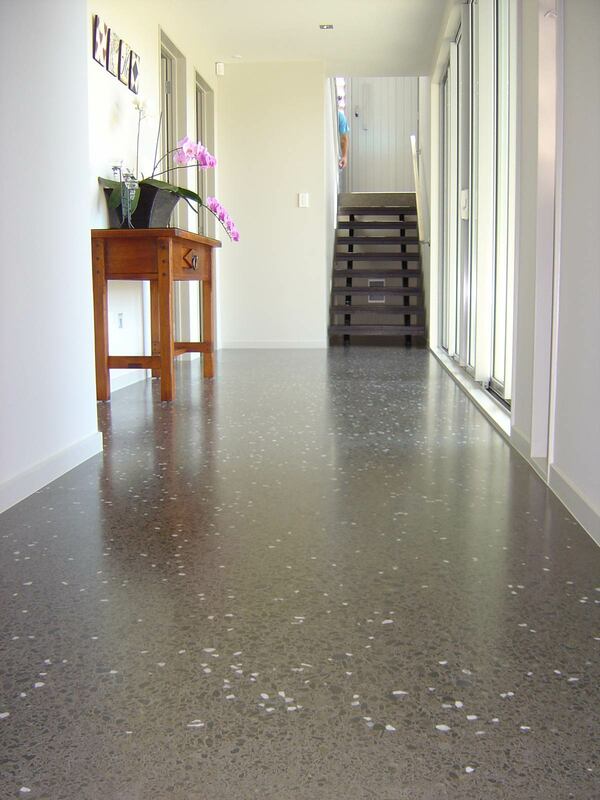 We have a range of finishing products which provide different finishes for your floor. 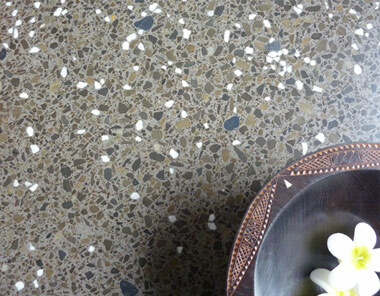 exposes heavy aggregates and superior sheen. 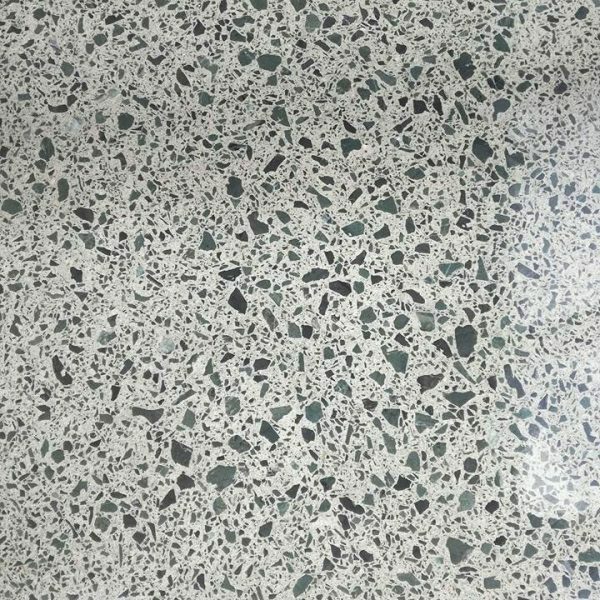 exposes no aggregates – polish only service and sheen. 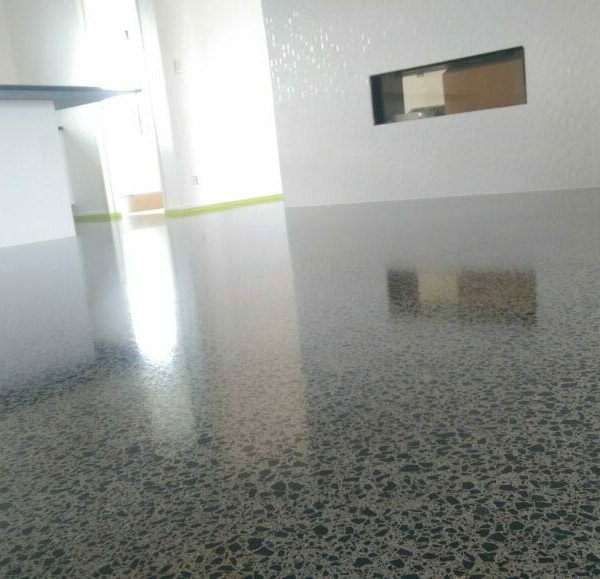 Our finishing products include gloss, semi-gloss, matte and/or non-slip on all options. 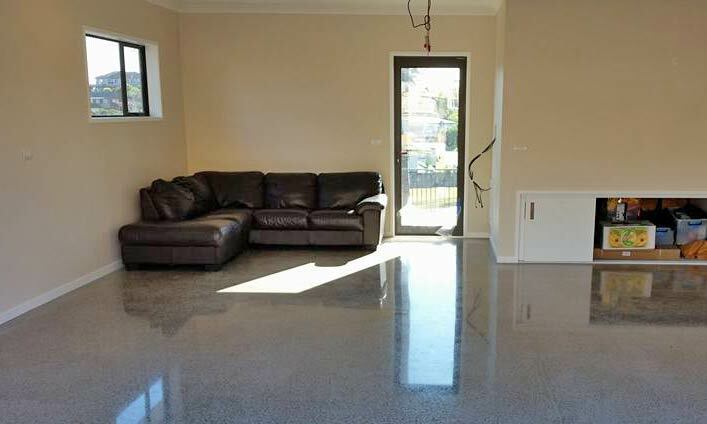 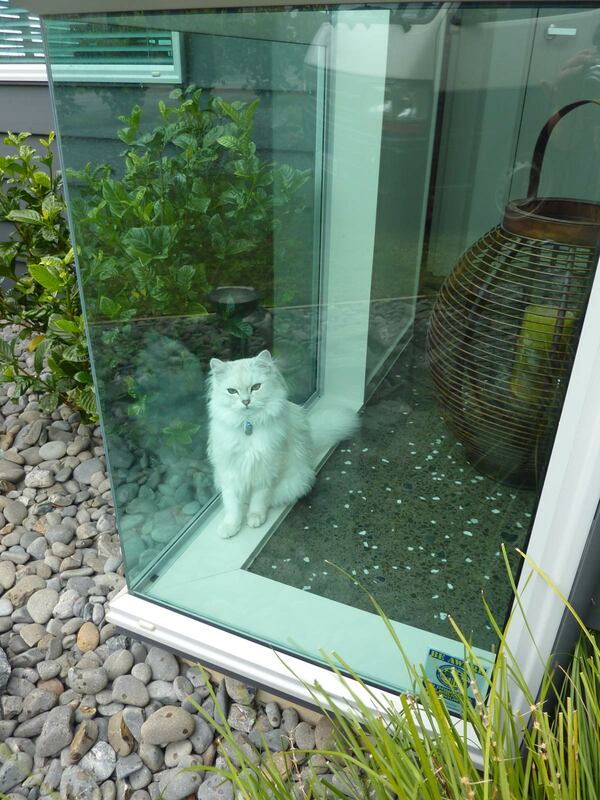 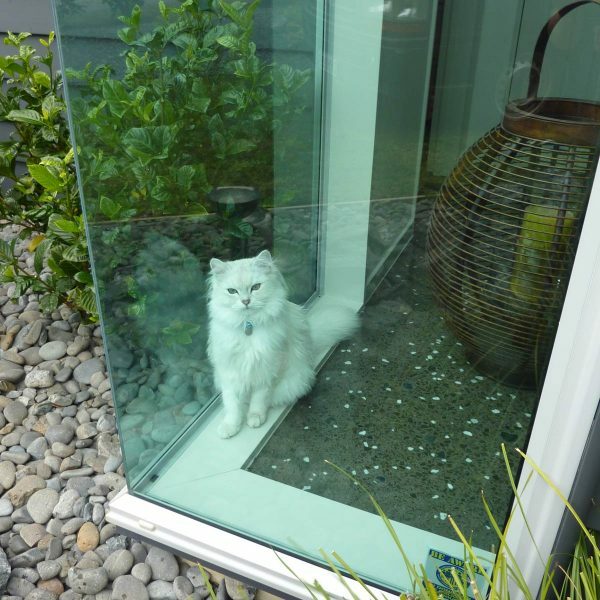 Have complete peace of mind when dealing with us, as we provide a workmanship guarantee on all services. 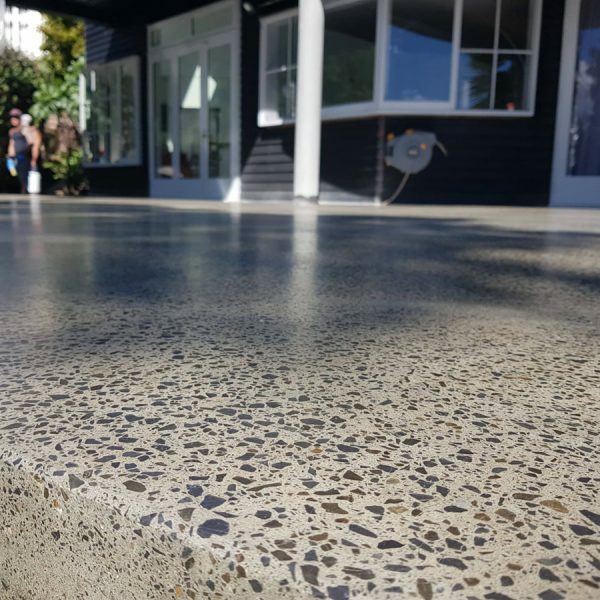 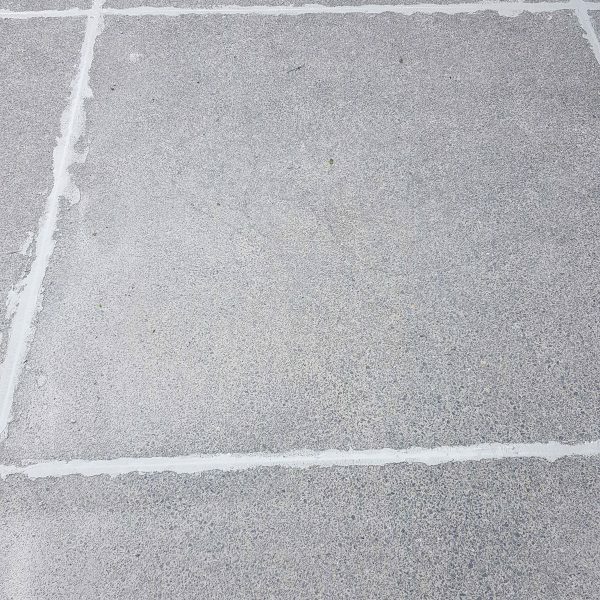 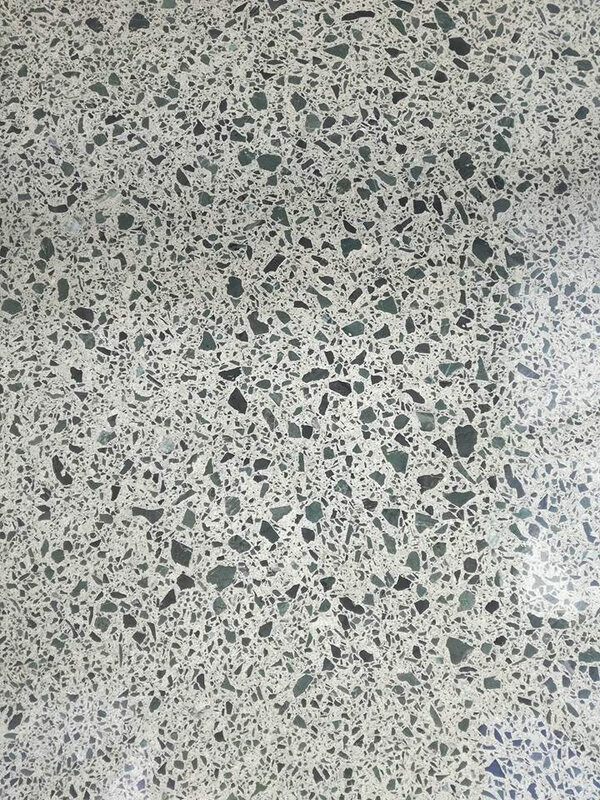 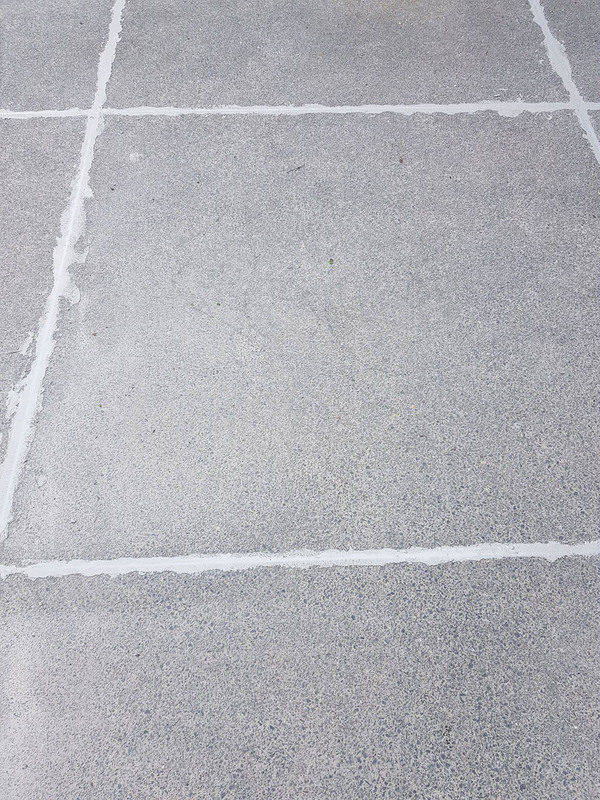 Commonly seen in everyday homes, hairdressers and cafes etc..
Polish concrete using a multi-step diamond grind process to a very fine grit finish. 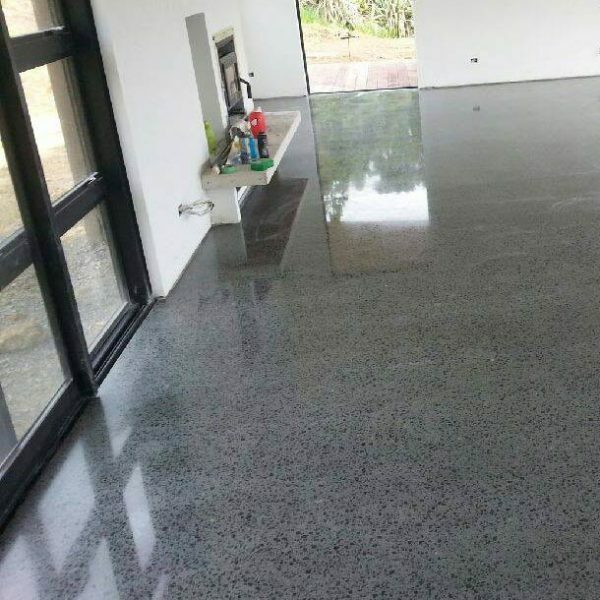 During the process we add a specialised “Densifier” which increases the surface hardness of the concrete and improves the abrasion resistance, and improves the overall appearance of the final product. 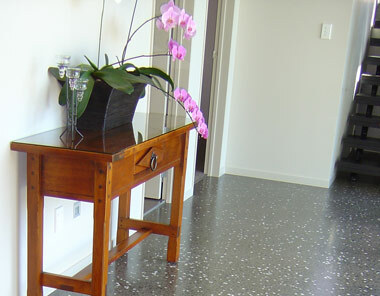 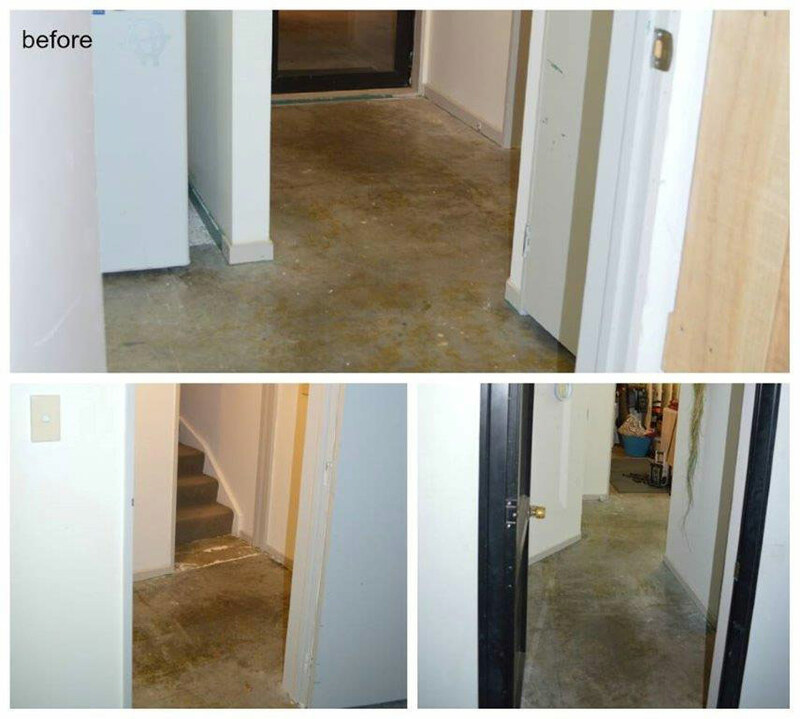 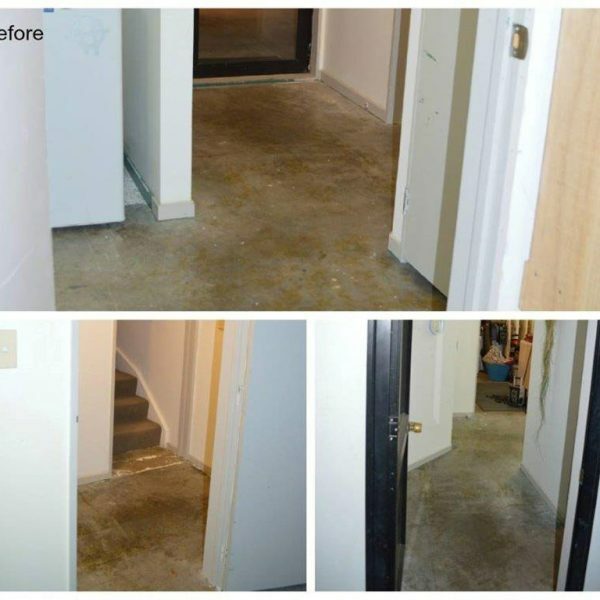 Revamp your existing floors, bringing back clarity, shine and versatility! 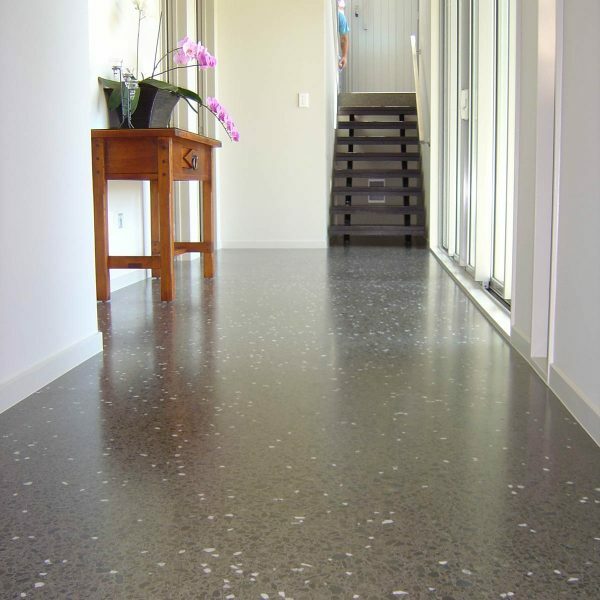 Are your floors looking tired or dull? 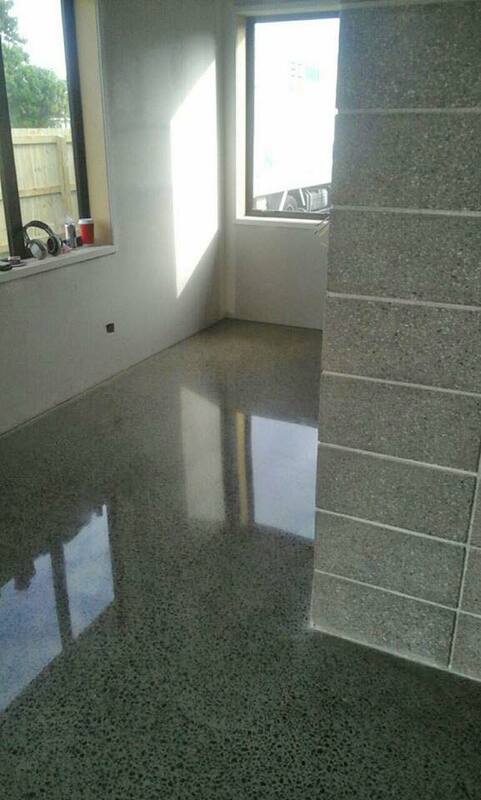 .. then contact us today to book at Re-polish Service to sheen up worn and/or dated polished concrete. 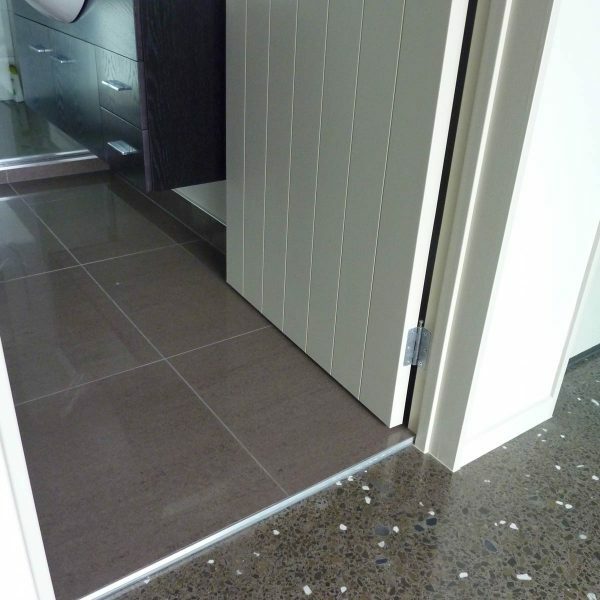 We offer many maintenance packages and can meet with you to discuss your flooring requirements. 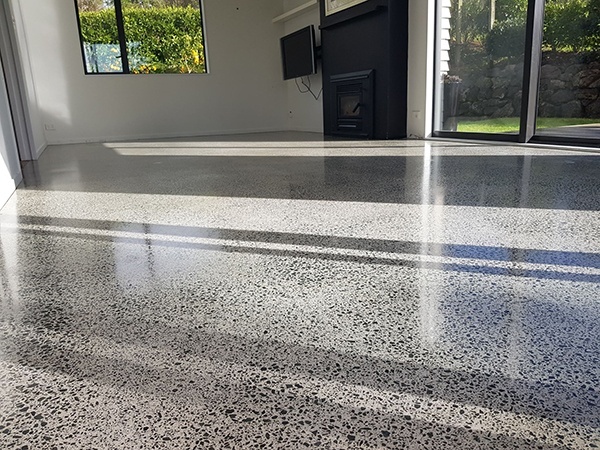 Often a High Grade polish (Burnish) and re application with a High Gloss or Matt Specialty Seal will totally renew your floor, unlocking its full potential. 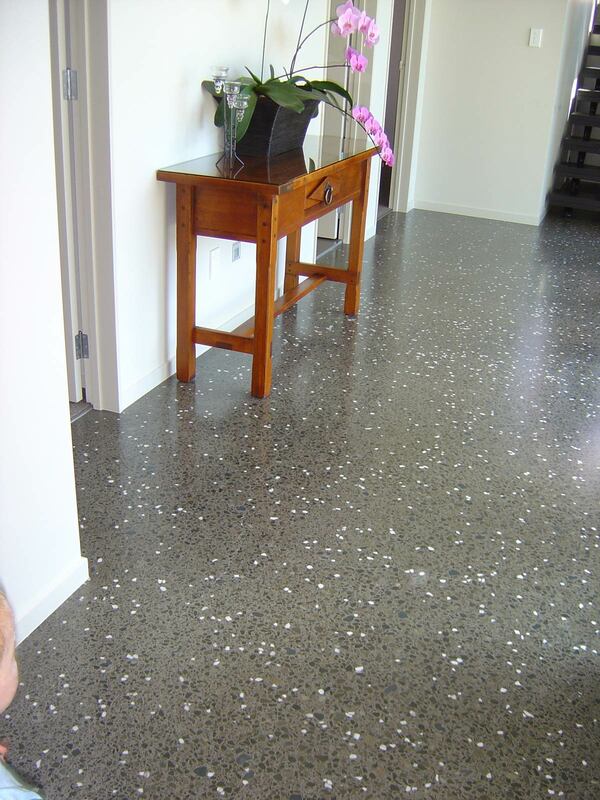 Have preferred exposure with added non-slip properties. 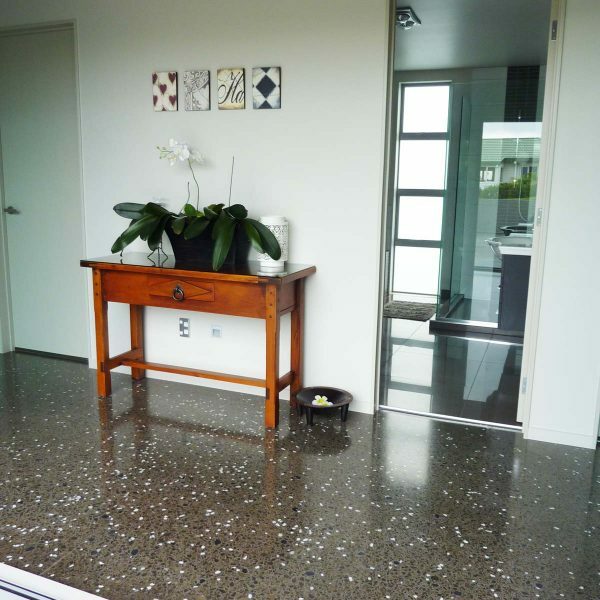 Pool surrounds, patios, driveways, pathways and entrance ways.